In the December issue of the American Bar Association’s Law Practice Today, I recap the inaugural ABA Lead Law program, a lawyer leadership conference presented by the American Bar Association’s Law Practice Division. I had the pleasure of being asked to serve as Vice Chair of the ABA Lead Law planning committee, but it was chair Tom Grella who really saw this program through from start to finish. The one day program offered varying perspectives on how attorneys lead and need to lead in their firms and in the profession as a whole. Read the article for a recap of the speakers and their respective topics. To access the program and materials, visit ABA Lead Law. 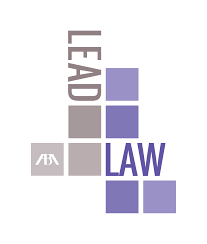 Tagged: "ABA Lead Law" and "Lawyer Leadership"